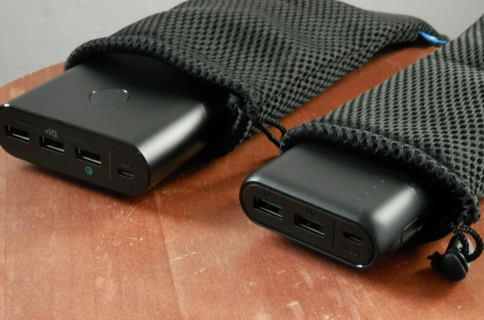 The only battery pack you’ll ever need? Aukey’s 30,000 mAh battery pack is an absolute beast. 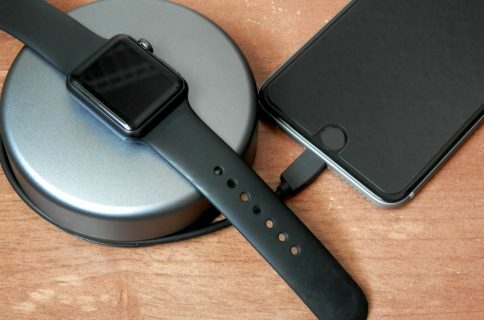 It tips the scales in battery capacity and gives you a solid amount of time away from the power outlet, no matter what device you’re using: Apple Watch, iPhone, iPad, or even an iPod touch. 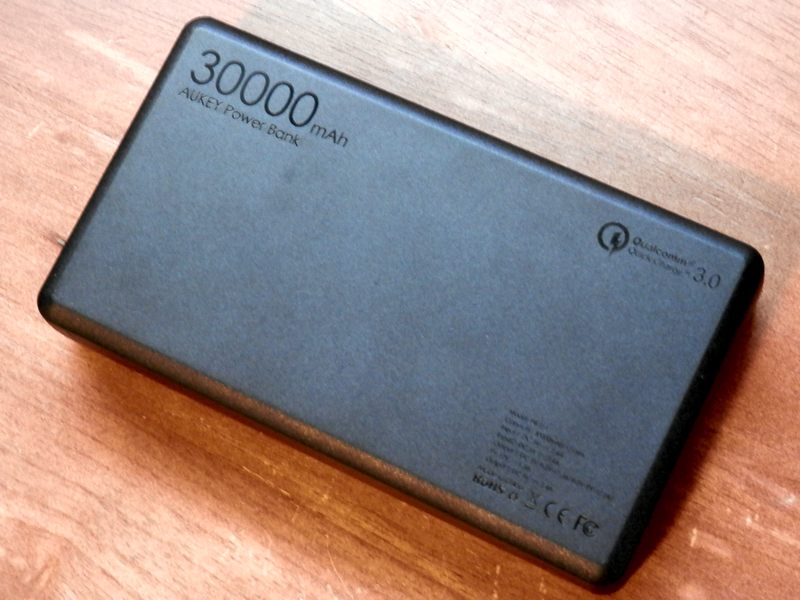 As you can imagine, 30,000 mAh is pretty dense, so this stout battery pack is pretty heavy too. 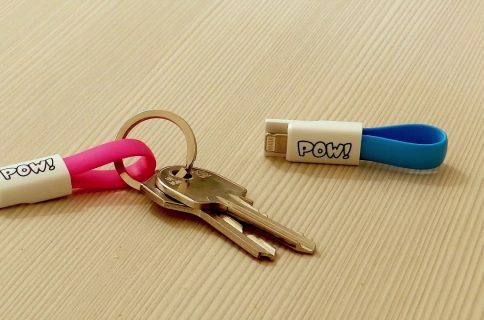 I’d estimate it weighs a couple of pounds, or maybe even a couple and a half, so it’s not your average pocket-lugging power bank; this is something you’ll want to carry in a backpack or purse. 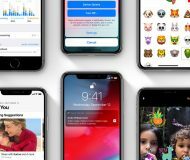 That aside, it includes a number of features that make it unique, as well as a tough contender in the limitless battery pack selection the world of battery technology has to offer. One of those is a Lightning port, which means you can charge this big boy with the very same cable you would use to charge your iPhone in the first place. No longer being required to lug around a clunky Micro-USB cable is a pretty nice luxury, but even if you’re a fan of the standard then have no worry, because a Micro-USB port is included on the battery’s side too, just for you. Having both a Micro-USB and Lightning in port makes this battery a versatile portable charging station for both your Android and iOS devices. Sweetening the deal, this battery pack is Quick Charge 3.0-ready, which means devices that support Qualcomm Quick Charge can take advantage of this battery pack and juice up in no time at all. 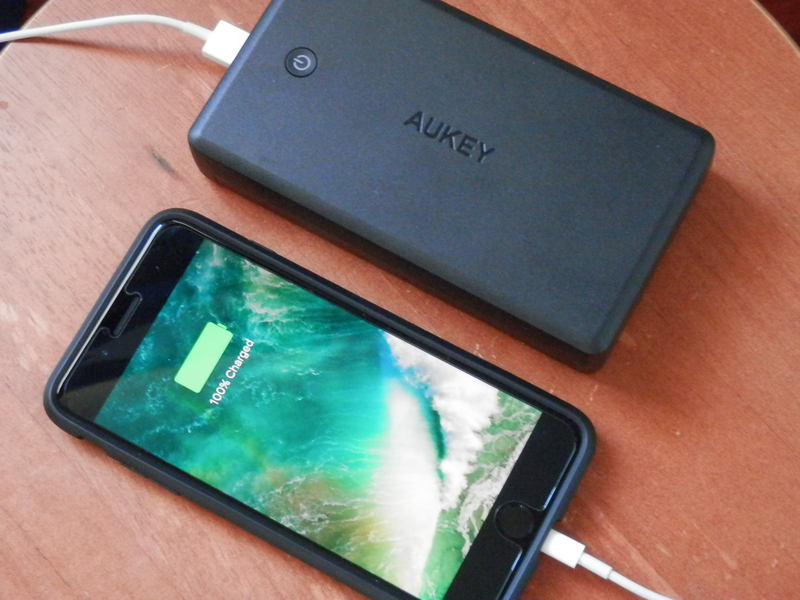 While the 30,000 mAh battery pack from Aukey makes a really good travel battery, especially for trips where you think you’ll be away from the power outlet for a great deal of time, such as on camping trips, when you’re traveling from state to state, or when you’re without power because your state was hit with a hurricane or other natural disaster. But that aside, it also transforms into a handy-dandy flashlight. Wait… what? Hold the phone! 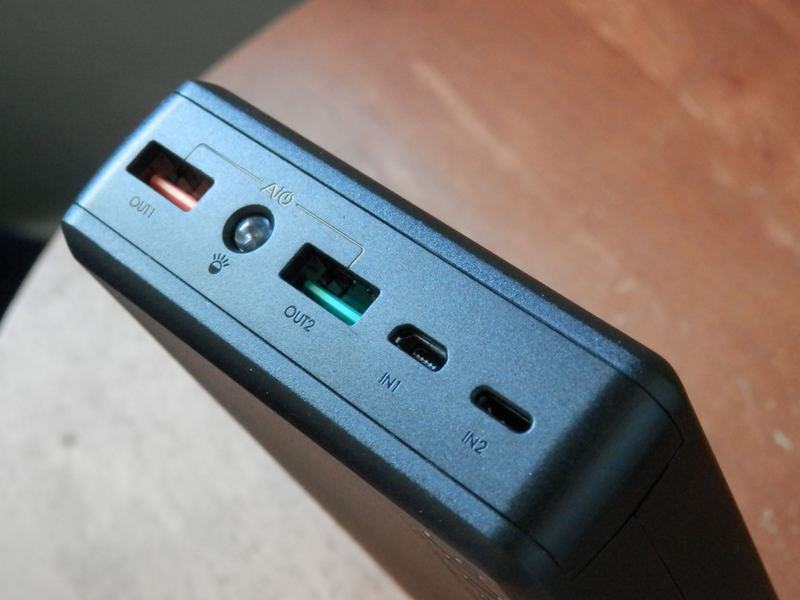 That clear round bubble in between the two USB-A ports is actually an LED flashlight. 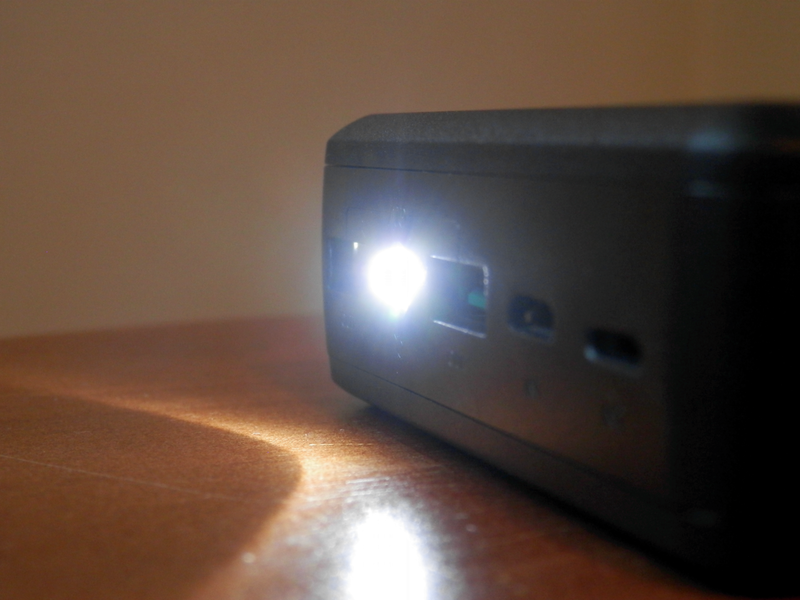 I’m quite the high-power LED flashlight junkie, but here we have a low-power LED being driven by a massive 30,000 mAh battery, which should last quite a long time. Personally, I think the flashlight is too dim to be used for a number of things you’d use a high-power flashlight for, but if you’re camping, it’s perfect to use as a 21st century tent lantern or to light up a room in your house if you’ve lost power. Overall, for the excitingly fair price of just $45 on Amazon, you can’t go wrong with an Aukey 30,000 mAh battery pack. 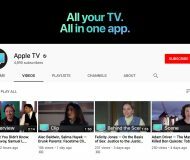 With all the features it has to offer, you get an exceedingly versatile battery that does more than most of the competition. What are your thoughts on the Aukey 30,000 mAh battery pack? Share in the comments below!